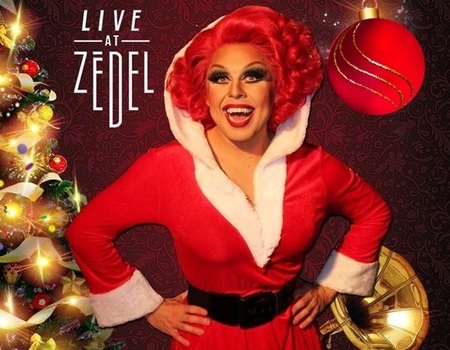 The UK's most dazzling diva is back with her Christmas special. Taking a break from her pantomime duties, La Voix returns to Crazy Coqs to offer the best night out this December. In this hilarious one-woman show, La Voix and her pianist will take you on a journey exposing, analysing and satirically delivering an evening of Judy Garland, Liza Minnelli, Shirley Bassey and Cher. La Voix delivers dazzlingly precise sound-alike performances along with an abundance of laughter. It'll be an evening of live diva anthems, fun, and spontaneity with the musical chanteuse. All done with a Christmas twist!